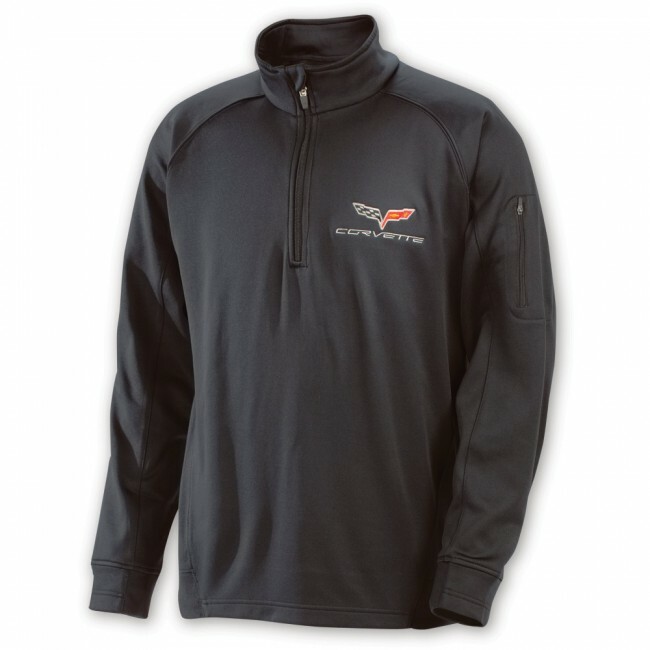 Smooth, double-knit pullover with left sleeve zippered pocket for on-the-go essentials. Stand-up collar with chin guard. Ragian sleeves. Embroidered Corvette C6 crossed flags logo on left chest. 100% polyester. Imported.